Ok that title is perhaps a little dramatic – LOL. 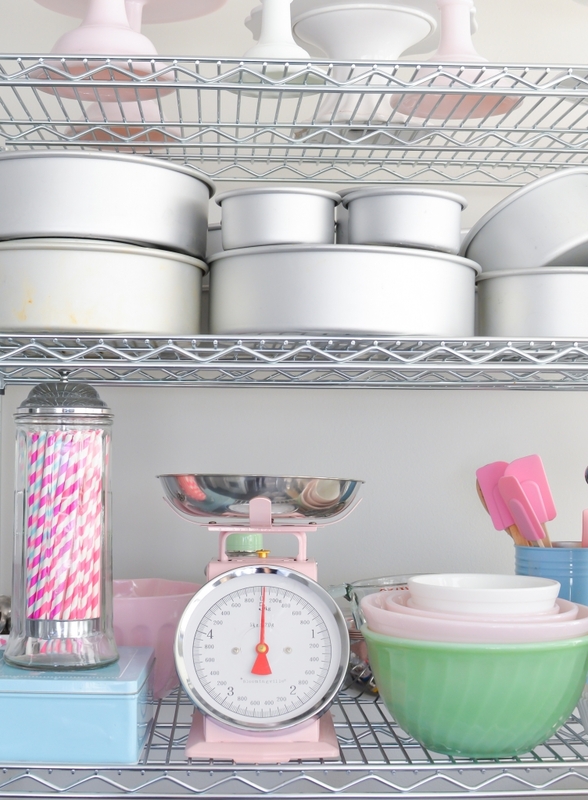 Today’s post is all about what I consider essential to my kitchen and pantry and of course, living without these things is completely and utterly possible (obviously). However, these are items that I use on a weekly, if not daily, basis and doing my job without them would seem strange to me at this point and maybe even a little difficult. It’s also worth saying that these are things I’ve collected over time – 6 years, in fact – so in no way should you feel as though you must rush out and purchase everything (or anything) right this moment. 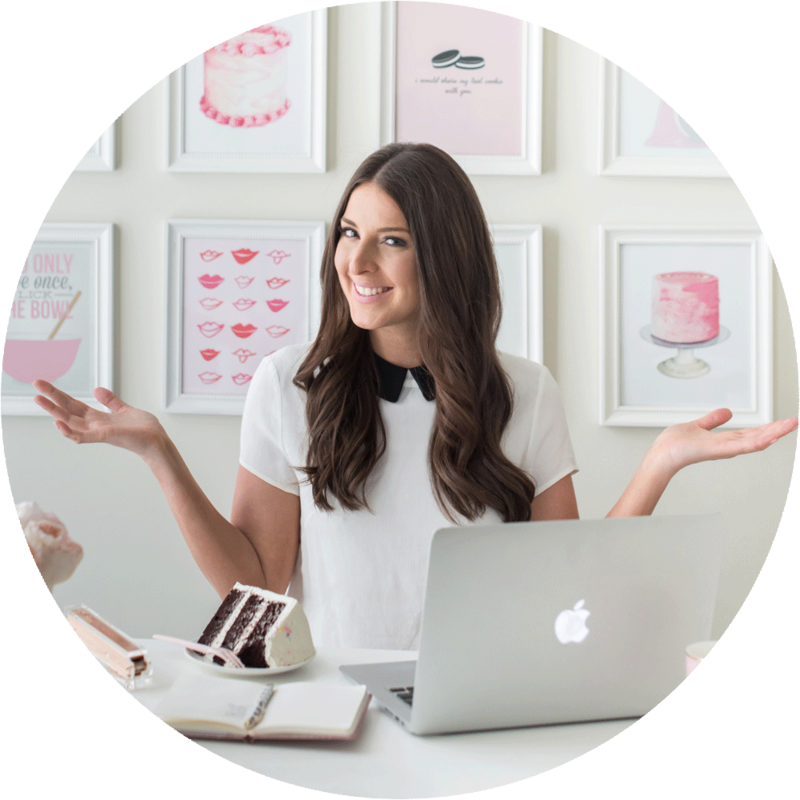 My goal in sharing this list is to eliminate and weed out all of the unnecessary tools out there (and believe me, there are a lot of them) and show you what are my personal absolute must-haves for every day baking. So here we go! There are so many shapes and sizes out there that knowing what to choose can be overwhelming! To keep it simple, I use one type and one size of baking sheets only: 13″ x 18″ x1″ baking sheets. They’re impact-resistant, made of heavy-duty aluminum and must be hand-washed. They’re not non-stick, so be sure to line them with parchment paper or a silicone baking mat before plopping cookie dough onto them (a good habit to get into anyway – your pans will thank you). 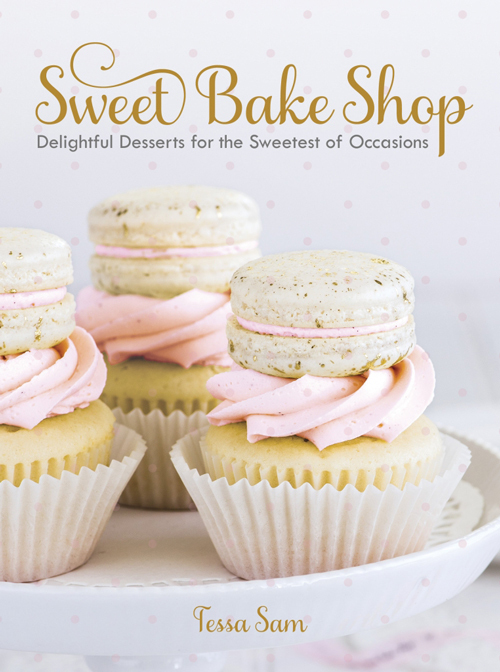 Locally, they can be purchased at Gourmet Warehouse, as well as almost all commercial baking supply shops. Online, find them here. Treat them well and you’ll have them for the rest of your life! For cake pans, I’m all about non-stick as well. I use Fat Daddio brand round cake pans in various sizes, all of which are 3″ deep, except for the smallest size I own (4″ round), which are 2″ deep. The company claims that their pans never rust, chip, peel or flake and I’ve found that to be accurate! As I mentioned previously, these are not non-stick, so be sure to grease, flour and line each pan with parchment paper before pouring in cake batter. You’ll have to hand-wash these as well, which will preserve the life of them greatly – I’ve had mine for years and they’re still going strong! 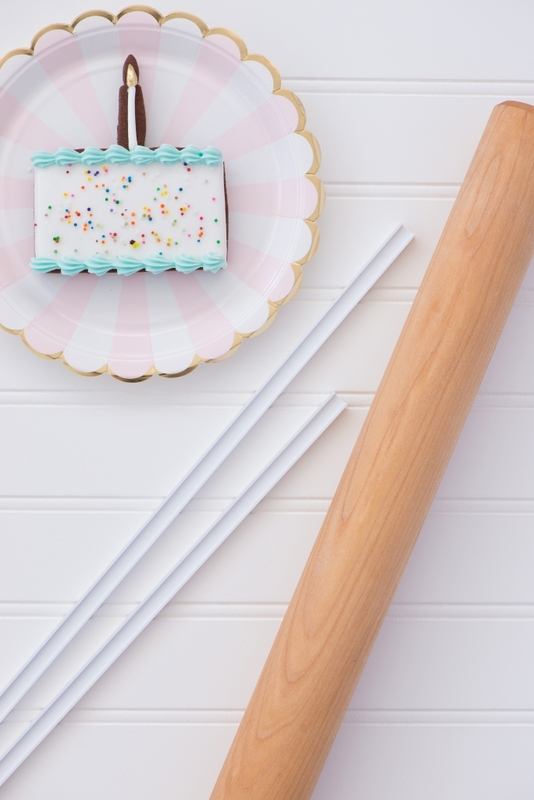 Rubber spatulas, wooden spoons, offset spatulas, cake scrapers, serrated knives, whisks, measuring spoons – all good things to have on-hand, as they all serve different purposes! Rubber spatulas are excellent for folding batter and scraping the sides of bowls to release clinging flour. Wooden spoons are heat-resistant and therefor are wonderful for handling those hot jobs, such as making caramel. Offset spatulas and cake scrapers are the perfect tools to create smooth and clean-looking cakes. Serrated knives carve and trim cake layers like a dream. Whisks assist in blending dry ingredients, as well as creating silky chocolate ganache. 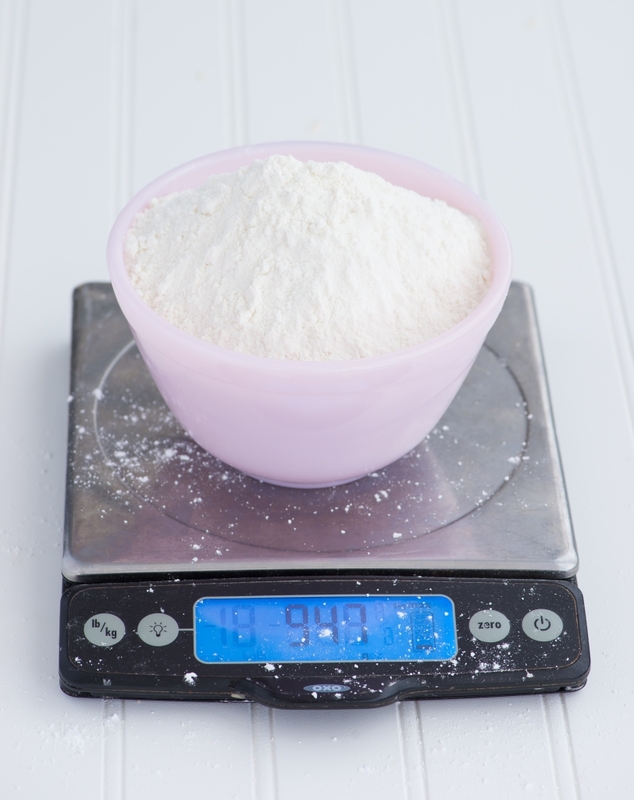 Finally, measuring spoons – crucial for accurate baking. There are so many other utensils out there, but these are my favourite and most-used ones, by far! Sprinkles, gold leaf, silver leaf, gold powder, gel food colourings, edible glitter, lustre dusts, petal dusts and more! The fun stuff! Decorating baked goods is one of my favourite things to do, so naturally, I have a lot of this stuff sitting on my shelves. 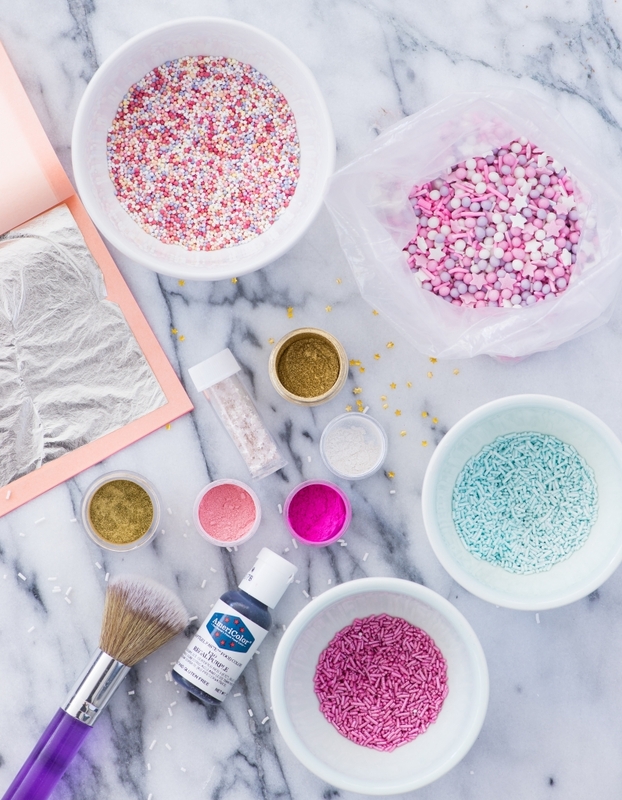 You can never go wrong with too many kinds of sprinkles and it’s so much fun to play around with different lustre dusts and food colourings! 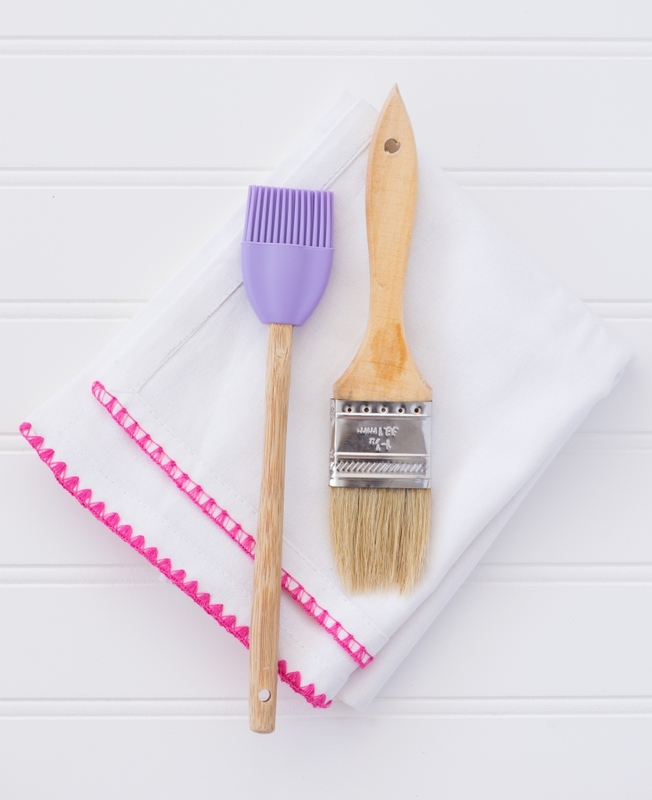 Whether you prefer silicone, nylon or natural bristles, these brushes are super handy. They’re excellent for greasing cake pans, brushing egg-wash onto pastries and many other things. I have found over the years that I prefer a silicone pastry brush, mostly because I find them the easiest to clean, but also because the bristles don’t tend to shed like natural or nylon brushes do. Cleaning brushes well is essential, as is letting them air-dry. Once the bristles begin to shed, it’s time to toss the brush and replace it with a new one – thankfully these are pretty inexpensive! The ultimate cake-icing tool! There is absolutely no way that I could get my icing smooth and even without one of these. There are multiple styles of turntables available (taller, shorter, plastic, cast iron) but my favourite is this one, which is ultra-durable and very stable. Plus, it comes apart easily, making cleaning it a breeze. I never ice a cake without first placing it on a cake board. Not only do they provide a sturdy base for your cake to sit on, but they also allow you to transfer that cake to the fridge, onto a cake plate or into a box with ease. 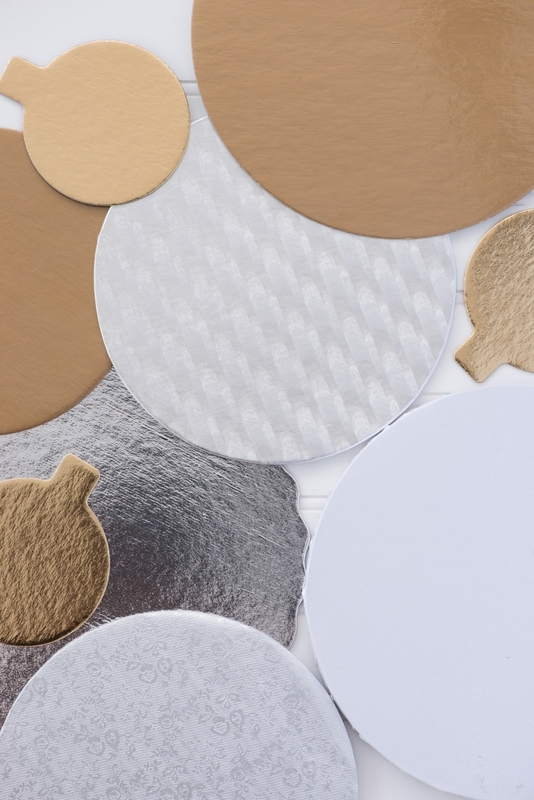 Cake boards come in so many different shapes, styles and sizes too! I find that what works best for me is a board that is a little on the thicker side, so that it supports the weight of the cake without bending. I also tend to use a cake board that is two inches bigger than my cake. 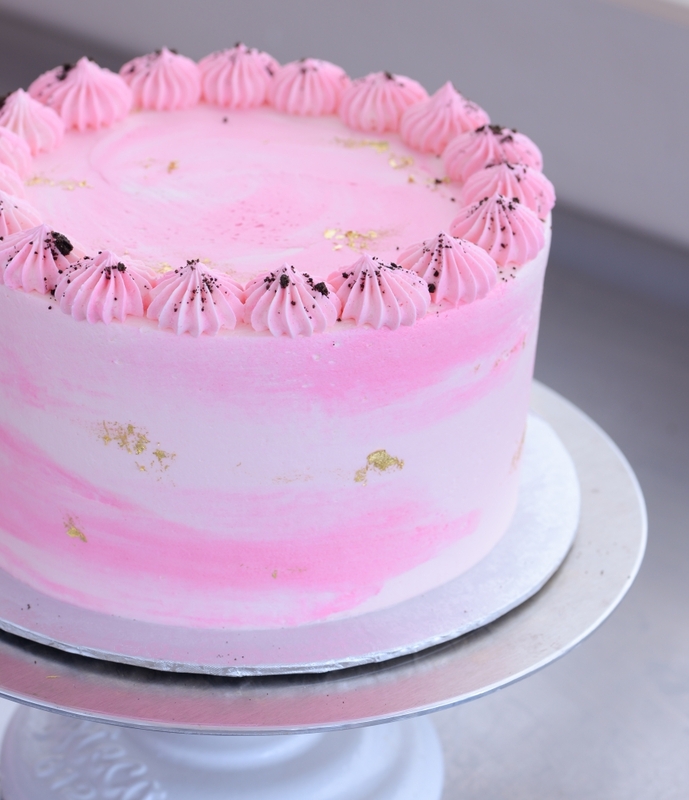 If I’m icing an 8-inch cake, I’ll use a 10-inch cake board, which allows for enough space for a good layer of icing on the outside, while leaving enough room to handle the cake without accidentally sticking my fingers into the icing. When I was growing up, my parents used to bake muffins without lining the trays – this usually didn’t end well. So many times, I remember watching my dad attempt to remove the muffins by running a knife around the edges of them and then banging the tray on the countertop vigorously, cursing under his breath. Eventually, paper liners were purchased and all was well! I never, ever bake a cupcake or a muffin without lining the trays with paper liners first. 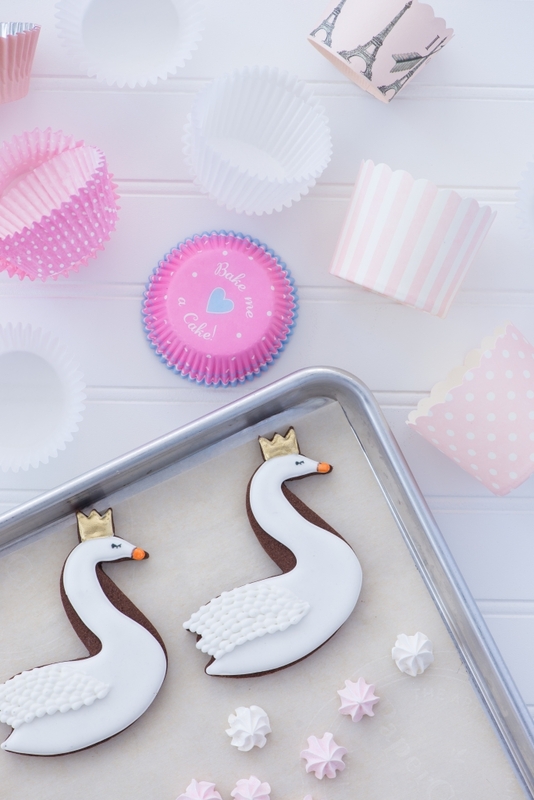 They’re inexpensive, they come in so many cute colours and they will save you so much time, as you won’t have to dig your cupcakes out of the trays (or potentially remake them – ugh). I feel the same way about parchment paper – I always line my baking sheets (and cake pans) before baking, and the worry of baked goods sticking is completely gone! Disposable or reusable pastry bags – the choice is yours! In a pinch, I’ve even used a plastic, zip-top bag and snipped off one of the corners. 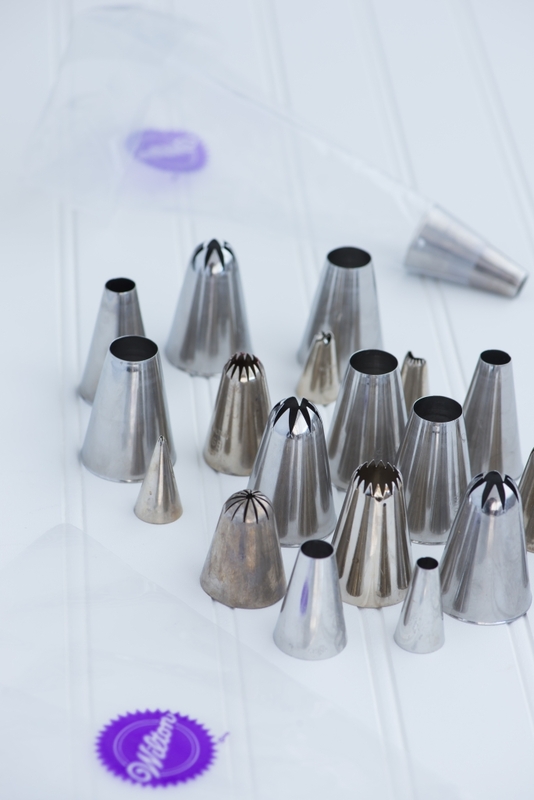 Insert a piping tip of your choice into the bag, pile in your frosting until the bag is about half-full and pipe beautiful swirls, swags or dollops on cakes, cupcakes and cookies! My favourite piping tip for frosting cupcakes is this one, which I use to pipe that big, sugary swirl on most of my cupcakes. And for my macarons, this tip is my favourite. 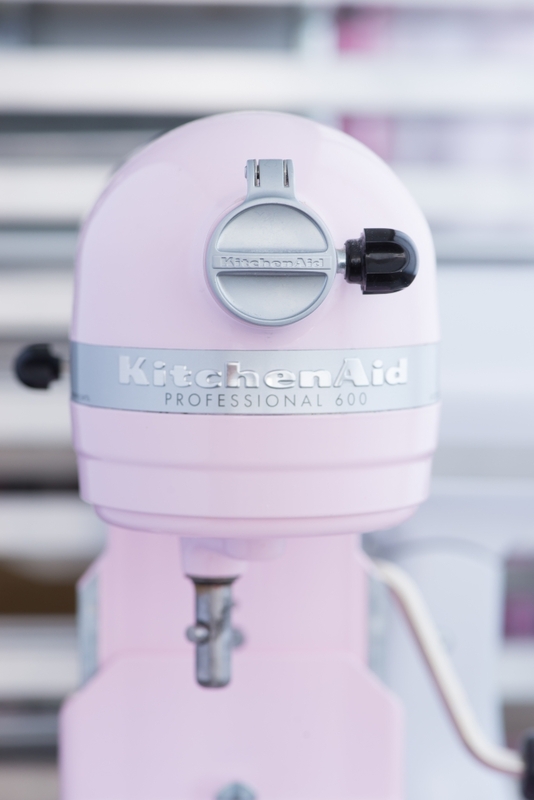 Since I bake for a living, these machines are considered crucial around here! However, I have many friends who do just fine with a hand mixer or a good old bowl and wooden spoon. If you do find yourself baking a lot, though, you may want to think about investing in one of these, as they are extremely helpful! 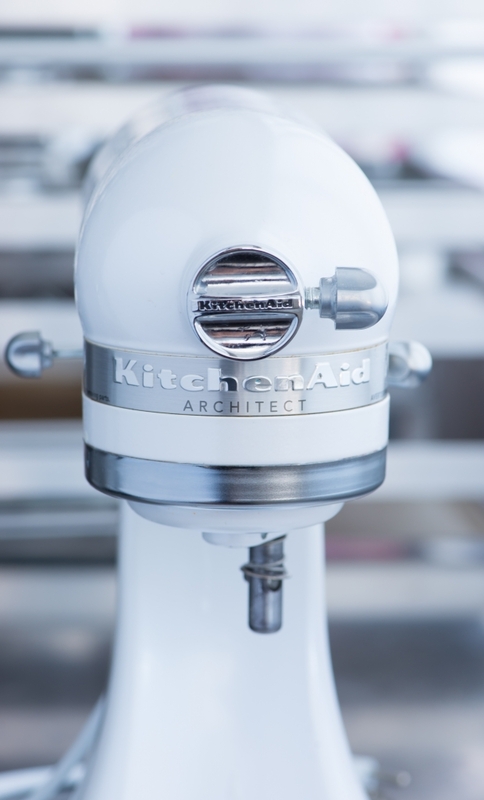 Not only do they save your arms from constant mixing and stirring, but they whip together frostings, batters and doughs like a dream – and in record time! Well, this one is a little on the obvious side, since you simply can’t bake without ingredients! 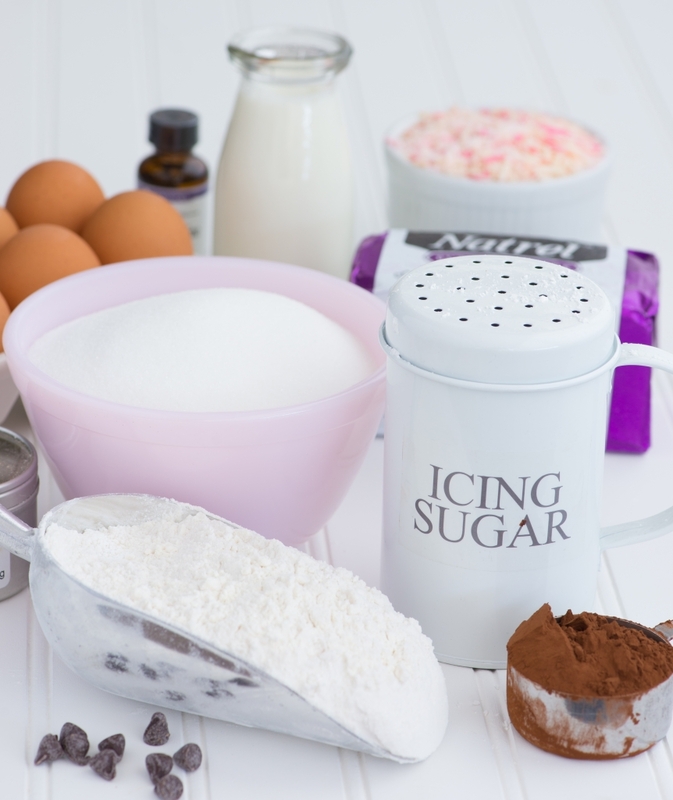 In my kitchen, you’ll find always various flours (all-purpose, bread, cake) and sugars (granulated, brown, confectioners’), milks (full-fat, buttermilk), leavening agents (baking soda, baking powder), cocoa powder (natural and Dutch process), butter (unsalted), eggs (large) and egg whites (boxed), vanilla (extract and paste), salt (kosher), spices (cinnamon, ginger, nutmeg, cardamom), chocolate chips (semi-sweet, white and dark), oil (canola), extracts (lemon, coconut, almond, peppermint) and flavourings. These are the staples and while other ingredients come and go, these ones are always constants. 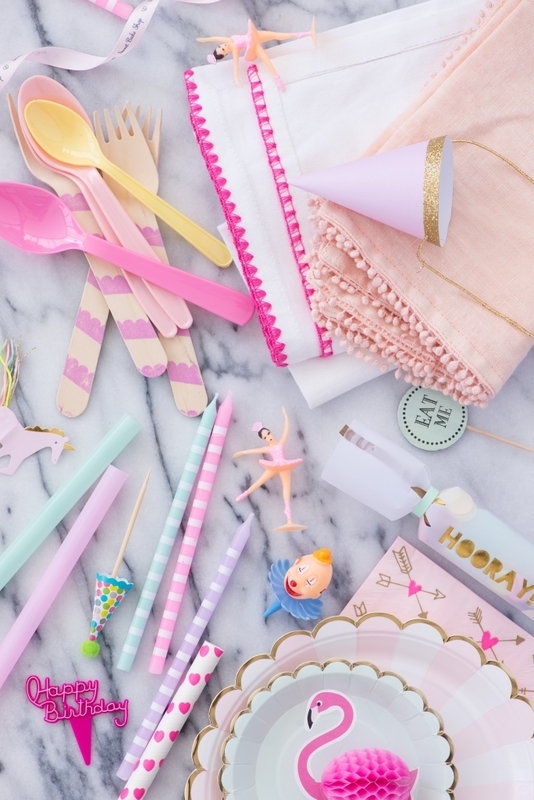 Candles, cake toppers, napkins, straws, utensils and on and on (and on!). I take photos every day, and adding a few cute props here and there adds a little extra fun to the photos. If you’re not as obsessed crazy enthusiastic as I am about buying props by the boatload just for photos, I don’t blame you. 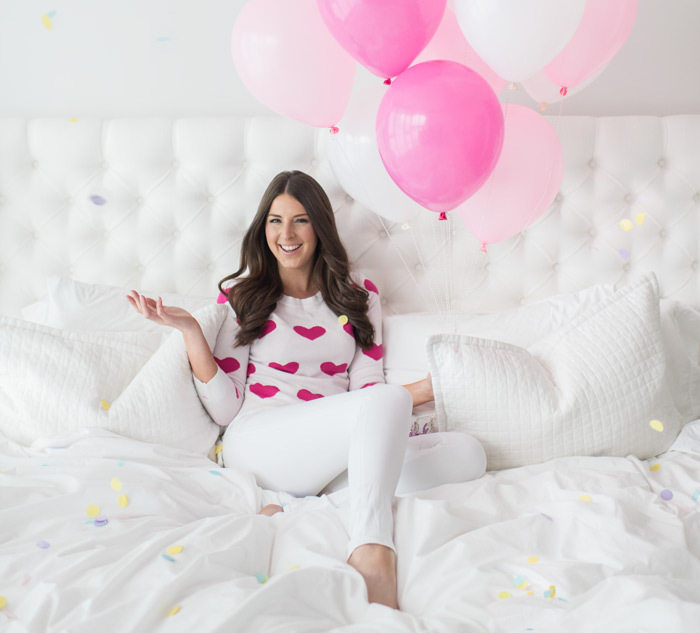 However, they are wonderful to have on-hand for last-minute photo shoots and even friends birthdays or social gatherings. Plus, they never expire! I purchased my first cake plate in 2010 and since then, I haven’t been able to stop! The great thing is that they get a lot of use, so that’s a plus. The downside is that I’m running out of space to put them. 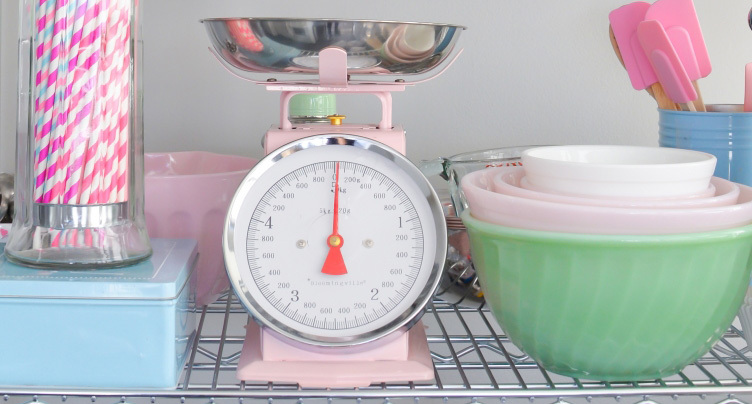 You don’t need a whole bunch of cake plates, but at least one or two can be handy for displaying all of the beautiful desserts that you’ll be making! Hand-wash your cake plates and (as long as you’re not as clumsy as me) you’ll have them for life! Thanks for reading! If you have any favourite kitchen/pantry items that you absolutely love or if you have a question, please feel free to comment below! Yay! I have been waiting for this!!! Thank you for taking the time to make a list! Thank you for sharing your knowledge with us. It is so hard to know what to buy, there is so much on the market that it is overwhelming at times. Bless! I would love to know where you get your cake boards from? Which colors of Americolor gels do you tend to use more/are a staple in your kitchen? Soft pink, electric pink, sky blue, turquoise, super black, super red, lemon yellow and violet are my most-used colours by far! Would love to know where you get the pink gloves you always wear in your posts! All over! 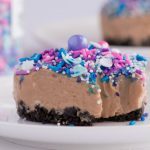 Fancy Sprinkles, Scoop n Save and Gourmet Warehouse are amazing! I love your Pink Rubber Spatulas, where can I purchase them? 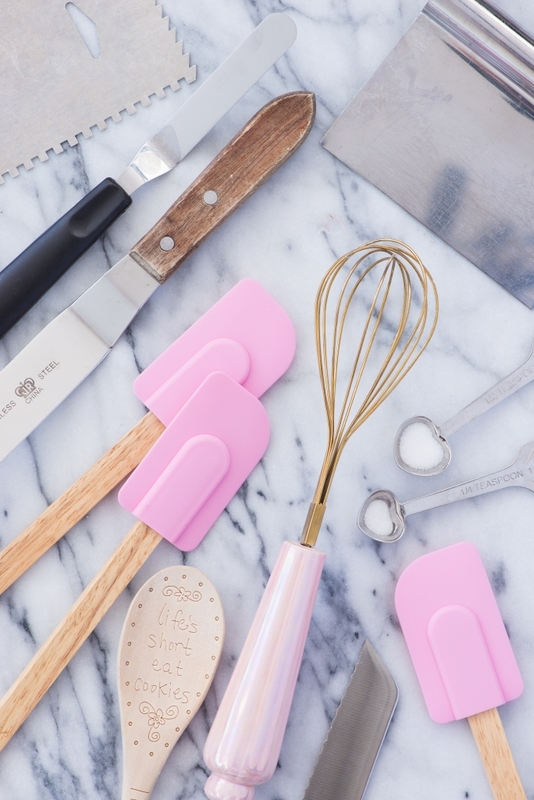 I love you pink rubber spatulas, were can I purchase them? I used to have them for sale here on my website, but they’re all sold out now, I’m sorry! Do you double-line cupcakes? There are some really cute cupcake liner designs but once baked, the liners don’t show. 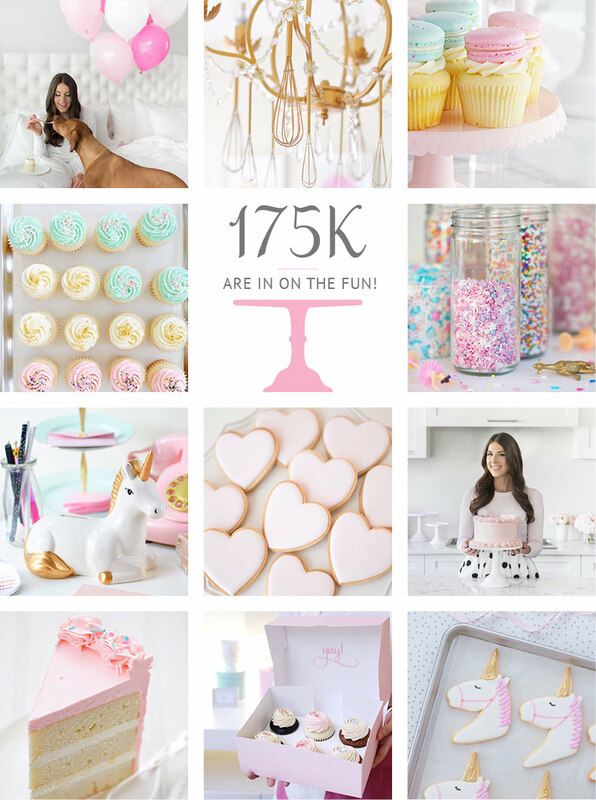 Everything is so cute and dainty! 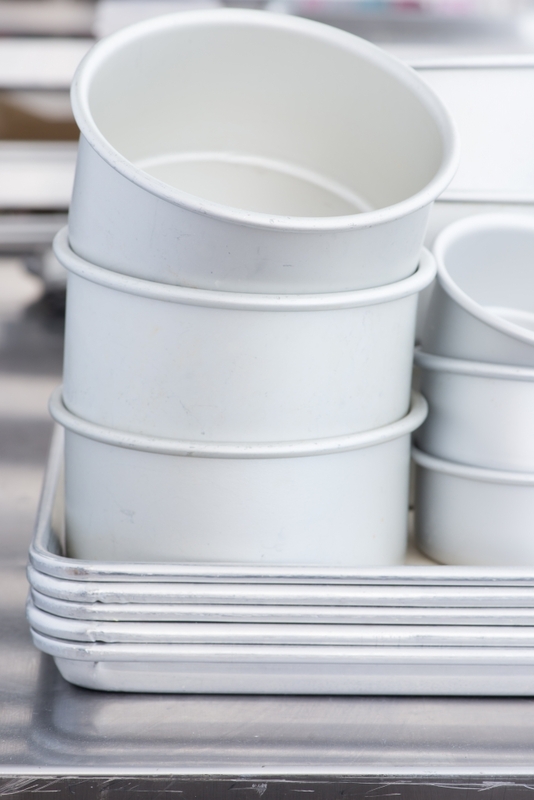 I agree with you – fat daddio’s cake pans are really great and durable. Looking forward to more posts about your bakery life! Where did you purchase your rolling sticks? Hi!! 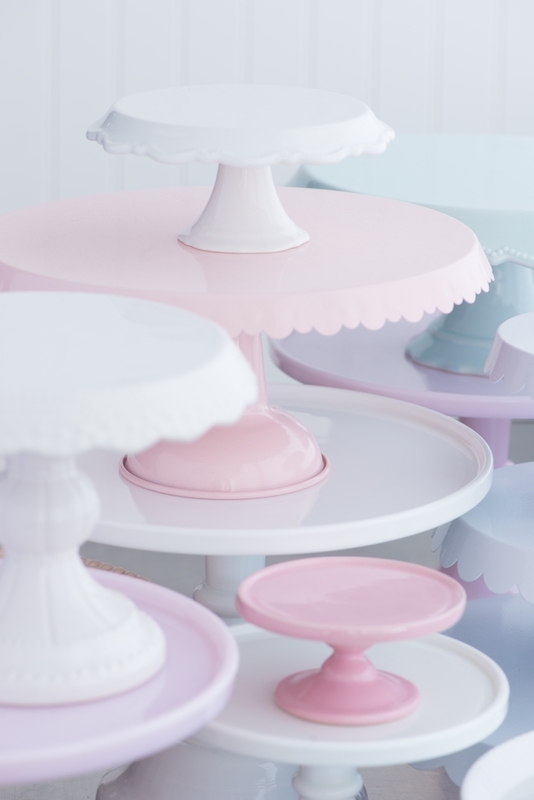 Can you share where you purchase your cake stands?? So excited for your book!! !